Asiavision has successfully conducted its 4th capacity building workshop. The topic was Mobile Journalism- How to create news reports with a smartphone. 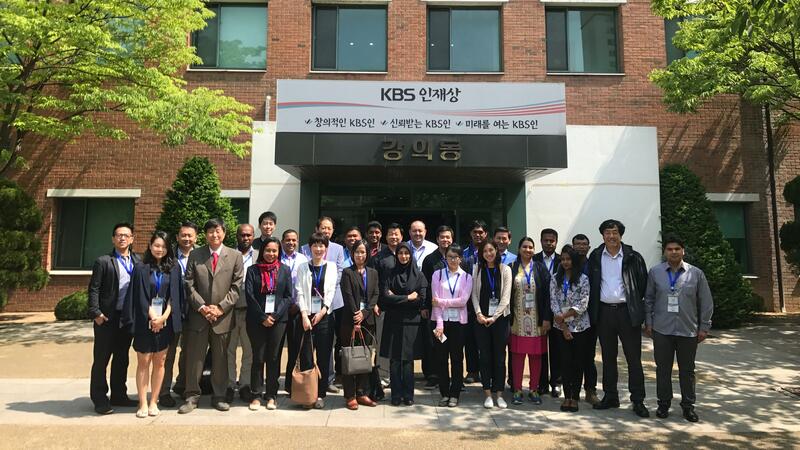 Held in KBS Human Resources Development Centre in Suwon, Korea, KBS has graciously provided with the accommodation and venue for this occasion. The full 5-days workshop took place from 15th -20th May 2017. Each participant created their own 90-seconds story with sources they gathered throughout the week. The stories were based on common topics- Hallyu (Korean wave) and Mojo. Their hard work was celebrated on the last day with a presentation. The 5th AVN Workshop, also on Mobile Journalism, has been planned for either September or October this year. This workshop will also be hosted by KBS, Korea.